HOUSTON - One of Forbes' richest men in America, and a local legend in Houston, died under mysterious circumstances, a review of documents obtained by Local 2 Investigates revealed. Harold Farb, 83, who at one point owned more apartment complexes than anyone in the world, died Oct.10, 2006. At the time, several news organizations, including KPRC-TV reported that it appeared that Farb died of a heart attack. It is now clear that is not what happened. Some family members believe that Farb may have been murdered. 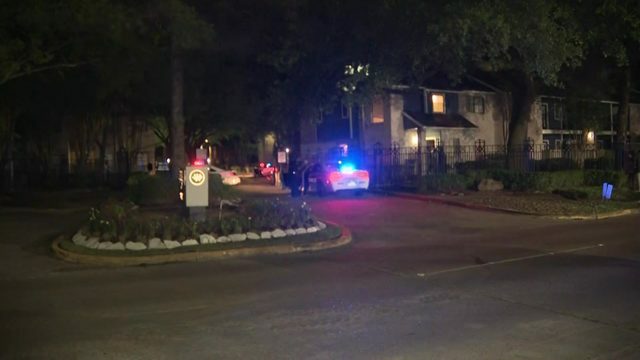 "You have to believe that's a possibility because the Houston Police Department has not completed their investigation," said Al Farb, Harold Farb's grandson. In fact, Local 2 Investigates confirmed Harold Farb's death investigation remains open. Police representatives declined to discuss the matter on camera but did talk by phone. "Our homicide investigators initially investigated this case in 2006 and found no evidence of foul play," HPD Public Information Officer John Cannon said. But the Houston Police Department will not close the case because the Harris County Medical Examiner's office found that a catheter recently inserted in Harold Farb's chest had been cut with a sharp instrument prior to his death. Dr. Dwayne Wolf concluded in an autopsy that Harold Farb either killed himself or someone else killed him. "The cause of death is clear in this case. The recently placed hemodialysis catheter was cut with a sharp instrument and the decedent bled to death. Less clear is who cut the catheter. The decedent himself (with or without assistance) must be considered. Although no specific suicidal ideation was documented, his fervent reluctance to undergo hemodialysis was well documented. The possibility of someone else's involvement (with or without decedent's consent) also cannot be ruled out. However, the lack of other injuries argues against a struggle occurring prior to death. After a thorough police investigation, questions regarding scene findings and circumstances remain. Accordingly, the best classification for manner of death at this time is undetermined. This classification may be revisited if further relevant information comes to light in the future," the medical examiner's report stated. Harold Farb's family members could not point to a possible suspect in his death and did not speculate about a possible motive. "We just think that the Houston Police Department needs to find out what happened. We need to know," Al Farb said. "I know he didn't kill himself," Carolyn Farb said. Harold Farb was married to four different women six times, including Carolyn Farb. Harold Farb was married to Diane Lokey Farb at the time of his death. She declined KPRC's offer for an on-camera interview but did send us a statement. Farb tradition," Diane Lokey Farb wrote. The Houston Police Department has acknowledged there is no longer an active investigation into Harold Farb's death, but anyone with new information about the case is urged to come forward.